Tottenham eased to the FA Cup semifinals, but at what cost? Also, Real Madrid is back in first and Bayern Munich's path to another Bundesliga crown becomes more clear. The Premier League may have had an abbreviated slate over the weekend, but there was plenty of news regarding one of the remaining title challengers that emerged from the FA Cup, as semifinalist Tottenham lost Harry Kane to an ankle injury. In Spain, Barcelona followed its sensational and historic Champions League comeback by slipping up in La Liga and opening the door for Real Madrid to re-take the lead. On the flip side of Barcelona's midweek triumph was PSG, which bounced back with a win in Ligue 1 but still has serious questions swirling about its brain trust. In Germany, Bayern Munich won while the three trailing teams dropped points, and in Italy, Inter Milan hit up Atalanta for seven goals despite its manager not having the full backing of ownership. PREMIER LEAGUE: Spurs reaches FA Cup semis, but at what cost? 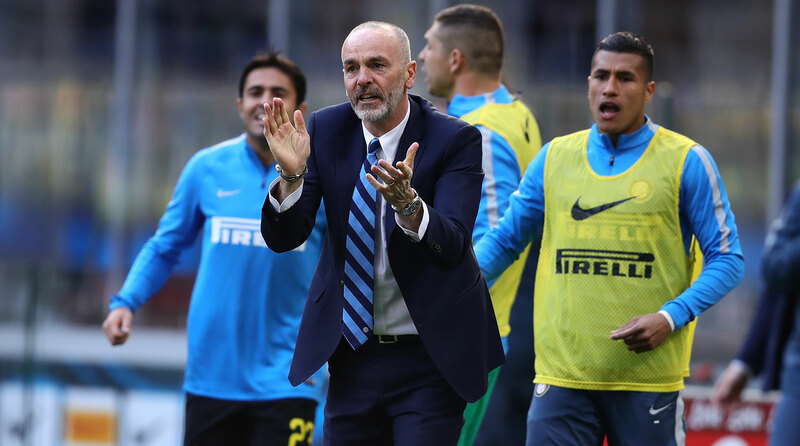 SERIE A: Why won't Inter owners back Pioli? The last time Harry Kane injured his ankle, back in September, he missed seven weeks of action and five league games. In those matches, Spurs dropped points in draws with West Brom (1-1), Bournemouth (0-0) and Leicester (1-1). Kane limped off seven minutes into Spurs’s 6-0 FA Cup win over Millwall Sunday, and he could face another long layoff as the season reaches its climax. Tottenham is in the FA Cup semifinal and is tied for second in the Premier League, though the 10-point gap Chelsea has with 11 games remaining seems unbridgeable. The Kane injury throws up two questions, the first of which is how coach Mauricio Pochettino plans to replace him. Against Millwall, he played Son Heung-Min as a false nine with Christian Eriksen and Dele Alli just behind him. All three scored, with Son bagging a hat trick. Back in September, he started off playing summer signing Vincent Janssen as Kane’s direct replacement; the Dutchman had great movement and aggression but his final touch in the box deserted him. As the season continued, Janssen slipped down the pecking order. He was recently left out of the 18-man squad for a Europa League match against Gent and stayed on the bench in Spurs’s FA Cup fifth-round win over Fulham. “He needs to show more in training,” Pochettino said at the time. Janssen got 15 minutes against Millwall and scored a late goal, his first from open play all season. He looked sharp and confident, and he came close to a second with a header that was saved. “I told you that in the last few months he has stepped up and started to work better, and I was happy in the way he was performing in training,” Pochettino said. Janssen may get more opportunities in the coming weeks, though Son may well get the nod first. The other question is why Kane does not get more credit. He still seems to be underrated. Despite missing those matches in the fall, he tied for the scoring lead in the Premier League with Romelu Lukaku, who has played in every game. Kane had scored three hat tricks in his last nine games; after the last of them, against Stoke, the Daily Telegraph declared him "Three-Season Wonder." He is capable of making goals out of nothing, as he did against Everton earlier in the month. Perhaps it’s because he’s English; he lacks the charisma of Zlatan Ibrahimovic and the social media presence of Paul Pogba. Kane is barely mentioned as a contender for Premier League Player of the Year. Maybe that’s the way Pochettino, as understated as they come, prefers it. Kane is among the best in the business, but no one wants to admit it. The clutch legacy of Real Madrid captain Sergio Ramos continues to grow. 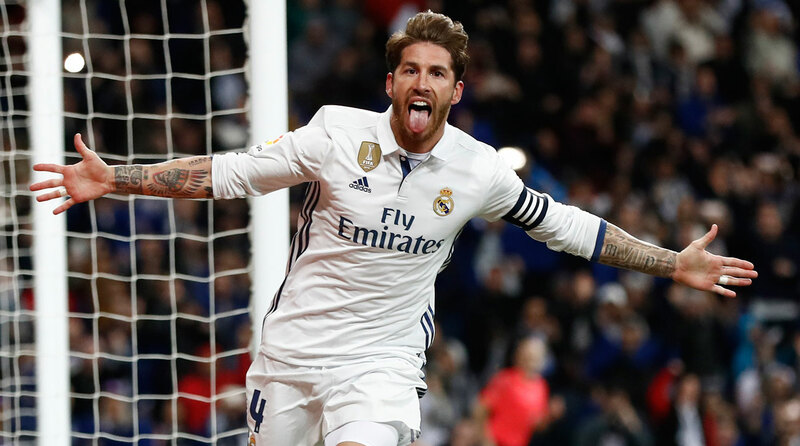 Ramos scored twice in the Champions League win against Napoli–not one as dramatic as Barcelona’s over PSG but with the reigning European champion appearing to be on the ropes, it needed a hero–and then one more, perhaps just as crucial, in Sunday’s come-from-behind win over Real Betis. Barcelona had already stumbled in its earlier kickoff at Deportivo La Coruna. A much-changed side–with no Neymar and starts for Arda Turan, Andre Gomes and Denis Suarez–seemed to still be recovering from the PSG match and lost 2-1 at the Riazor. That left the way clear for Madrid to go back on top, but it only just managed to. Goalkeeper Keylor Navas was a key figure: he could (and should) have been sent off for taking out Darko Brasanac outside the area. He then failed to keep out Antonio Sanabria’s shot, making such a mess of it that it went down as an own goal. Cristiano Ronaldo could have been the savior: he got the comeback started with the equalizer and had a second goal ruled out for offside. So instead up popped Ramos, heading home Toni Kroos’s corner, the seventh time those two have combined this season. There was a late twist when Navas kept out a Sanabria effort, leading coach Zinedine Zidane to generously claim the goalkeeper had won his side two points. His match will not dampen speculation that Real Madrid wants a long-term replacement to Iker Casillas at the Bernabeu, and that currently David de Gea and Thibaut Courtois–both once of crosstown rival Atletico–top the list. Either one leaving would signal a goalkeeping merry-go-round in England. The one constant that remains for Real Madrid, though, is Ramos coming through when the club needs him most. There was plenty of news coming out of Bayern Munich this week, as the club followed up the 5-1 win over Arsenal at the Emirates (10-2 on aggregate) with the confirmation that Xabi Alonso will retire at the end of the season (and what a coach he will surely make one day). Better news for the club was the return to action of Jerome Boateng after four months out, as he played for half an hour at the end of Bayern’s 3-0 win over sixth-placed Eintracht Frankfurt. The triumph was sparked by two more goals from Robert Lewandowski, taking him to 100 in total for the club, in just 136 games. Best of all for Bayern was the fact that the "Start-up clubs," a nickname for the impressive collective of RB Leipzig, Borussia Dortmund and Hoffenheim, all dropped points. Leipzig lost 1-0 at home to Wolfsburg for new coach Andries Jonker’s first win in charge. It was Mario Gomez who scored the winner, and some partnerships just work. The coach and striker were reunited seven years after Jonker was caretaker boss at Bayern, when Gomez scored nine goals (and two hat tricks) in five games under him. Behind them, Dortmund dominated possession (68%) but continued its frustrating inconsistency this season, coming down from its Champions League high of beating Benfica 4-0 to lose 2-1 at Hertha Berlin. Hoffenheim, meanwhile, drew at Freiburg. That fate may await the stars of all three this summer. For now, though, Bayern is 10 points clear of the chasing pack. Another good week for Carlo Ancelotti then. In the week that Paris Saint-Germain was on the receiving-end of the most unlikely comeback in Champions League history, conceding three goals to Barcelona in the final eight minutes for a 6-1 defeat, previous coach Laurent Blanc was reported to have bought a classic car worth over a million euros. Blanc’s PSG team had twice been eliminated by Barcelona in Europe, but never like this. All the progress and goodwill that current coach Unai Emery had built up after PSG’s 4-0 first-leg win has gone. In fact, it would have probably been better for him to have lost both legs 2-0 or 3-1 and avoided the ignominy of what L’Equipe's headline called "Unspeakable." 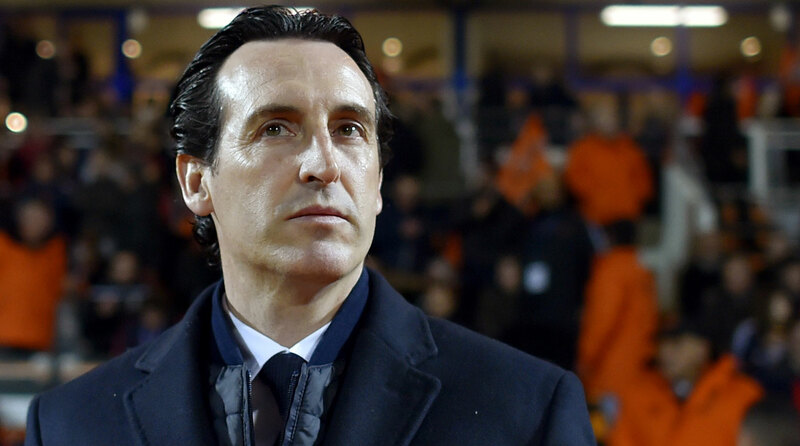 The obvious conclusion is that Emery, who was brought in specifically to further PSG’s European ambitions, cannot survive beyond this season. This is not a guarantee. Emery has given game time to a young French core of players like Adrien Rabiot, Christopher Nkunku and Presnel Kimpembe, the center back who was outstanding in the first leg against Barcelona and arguably unlucky to be dropped for captain Thiago Silva for the return. How helpful is it to sack the coach after every European disappointment? It’s just what PSG did with Blanc last year; and just like against Barcelona, it was not the quarterfinal defeat to Manchester City that did for him, but the manner of it. And so you can expect that the likes of Arsene Wenger, Diego Simeone, Max Allegri and yes, even Luis Enrique, will be linked to the job between now and the end of the season. It may be that another senior figure takes the hit for this. What about sporting director Patrick Kluivert, whose first season in the role has produced more misses (Jese, Grzegorz Krychowiak, Hatem Ben Arfa) than hits (Julien Draxler, Thomas Meunier)? Even president Nasser Al-Khelaifi might not be safe in his role any more. This is a political club, and everyone will be trying to protect his own position. The club is also at war with L’Equipe after it reported that Blaise Matuidi and Marco Verratti were in a Paris nightclub hours before they were due to fly to Spain for the second leg. In a statement, it branded the claims “an insult to their professionalism and their club” and said the paper had zero credibility. It also denied reports that the club had already asked Paris police for a parade down the Champs-Elysees if they won the Champions League. The best Emery can hope for is a repeat of Blanc’s domestic treble success from last year. Even beating Lorient 2-1 Sunday night was scant consolation; the team is still three points behind Monaco in Ligue 1 and faces the free-scoring Ligue 1 leader in the League Cup final next month. Nothing has been decided yet, but suddenly everyone at the club has an eye on his own future. Son Heung-Min (Tottenham): This first-time volley as the ball dropped over his shoulder was a great effort from the South Korean hat-trick hero. Memphis Depay (Lyon): Scoring from the center circle is an impressive achievement for the Dutch winger who has found some form in France. Maxwell Cornet (Lyon): A jinking dribble followed by a shot rifled into the top corner in an excellent week for Lyon. Robert Lewandowski (Bayern Munich): Two more goals for the Polish forward helped Bayern extend its lead at the top of the table. Ever Banega (Inter Milan): The Argentine midfielder notched a hat trick and two assists, and his partnership with Mauro Icardi is helping push Inter up the table. Josh King (Bournemouth): A missed penalty was a bad start to the day for the Cherries forward, but he atoned with a hat trick, which included a much-needed last minute winner over West Ham.